Super Bowl marketing is officially underway, with the launch of a sweepstakes from Pizza Hut and Pepsi. The two official NFL sponsors -- and frequent brand partners -- have teamed to boost their sales during the holiday season and lead up to 2019's Big Game by co-promoting a Pepsi Super Bowl LII Halftime Show sweepstakes. Two grand-prize winners will receive trips for themselves and a guest to attend Super Bowl LIII -- and view Pepsi's Halftime Show from the field. In addition, fans who enter before Dec. 31 will earn chances to win NFL gear prizes. To enter, fans purchase limited-edition Pepsi 4-Pack carriers, available at all Pizza Hut locations "while supplies last," and enter a code from the product on PizzaHut.com/PepsiSweeps, or share their homegates on Twitter, using #HutxPepsiSweepstakes. 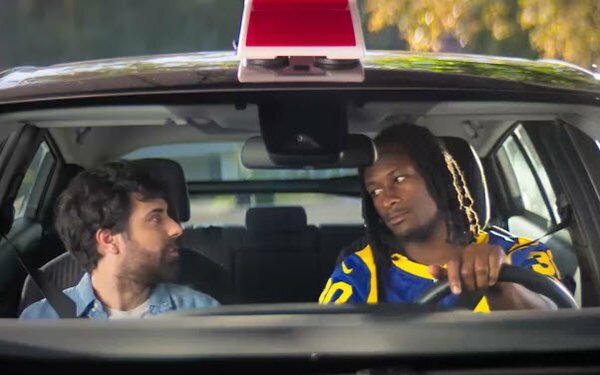 To kick off the promotion, the brands have released an ad featuring LA Rams player Todd Gurley (below). Pepsi has been the sponsor of the Super Bowl Halftime Show since 2013, and the NFL's official soft drink sponsor since 2002. Pizza Hut is in its first year as the NFL's official pizza sponsor.